A pure and natural form of incense! Made from resins, bark, herbs and spices. Just light a charcoal tablet, place in your resin incense burner and sprinkle your favourite fragrance of resin incense on top. Then sit back and enjoy the day. Resin incensein a tin from Song of India. 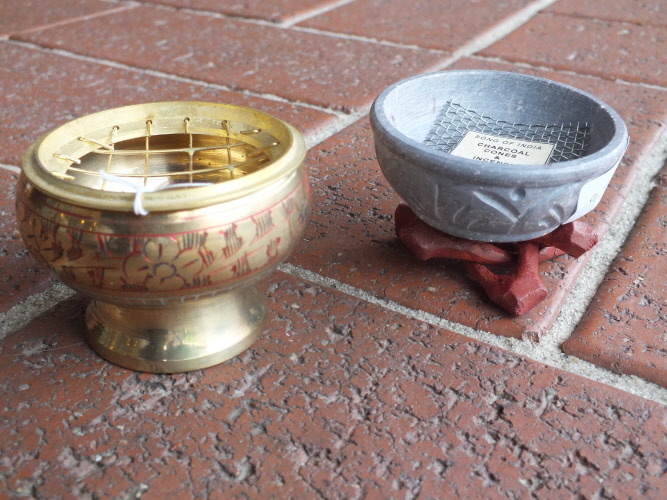 To burn resin or powdered incense your will need, charcoal tablets and a resin incense burner. Just light the charcoal and place in your burner then slowly sprinkle some resin or powdered incense on the charcoal to enjoy the fresh fragrance. Natural resin incense in it's most raw form contains: herbs, wood, powder, tree resins, leaves, flowers, aromatic barks and natural oils. 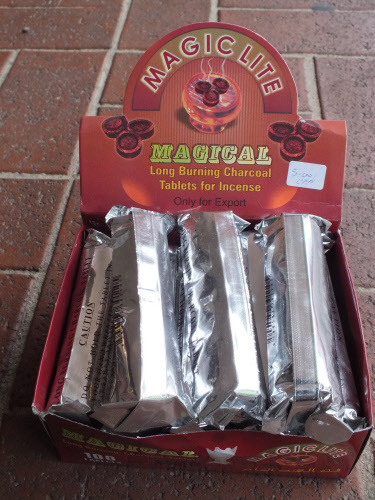 Magical long burning charcoal tablets for incense. Ten tablets in one packet. Charcoal tablets, used for burning your resin or powdered incense. Just light your charcoal, then place in your burner and slowly sprinkle your powdered or resin incense. High quality incense combination of rare and precious substances from the Holy Lands of Tibet, India and Nepal. 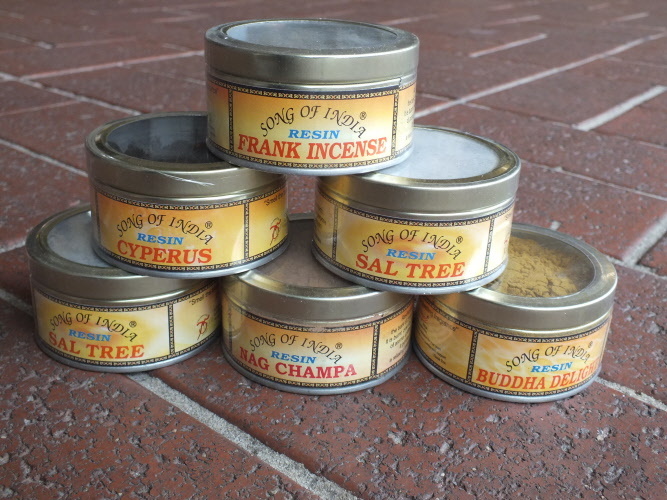 This incense is traditionally used to invoke the blessing of the Buddhas and Bodhisattvas. The fragrance creates a peaceful atmosphere and brings healing effects to both the mind and body. 60 g . contains aromatic herbs such as the high quality juniper from the blessed place of Guru Rinpoche and the 84 Siddhas in Muktinath. It helps to uplift the spirits. 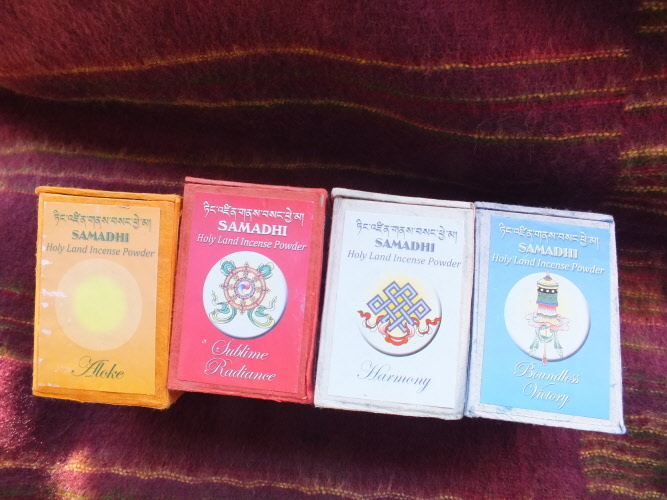 Lovingly hand made in Nepal by Tharpa Choeling Nunnery..
60 g Contains - .aromatic herbs scented by the exotic Pongpo (Waldheimia tridactylites) a pretty and very aromatic composite found growing in the plains of Tibet. Lovingly hand made in Nepal by Tharpa Choeling Nunnery. 60 g Boundless Victoria is the highest quality of incense fragranced using rare and precious Agaru (Aloeswood) from Vietnam. Loving hand made in Nepal by Tharpa Choeling Nunnery. (brass burner currently sold out) stone one available. You will need charcoal tablets, just light one of the charcoal tablets then place on the mesh in top of your charcoal burner, as it starts to heat up just sprinkle your resin or powder incense on the charcoal.